SYNOPSIS: Come along on the ultimate road-trip adventure that will leave the whole family howling with laughter! 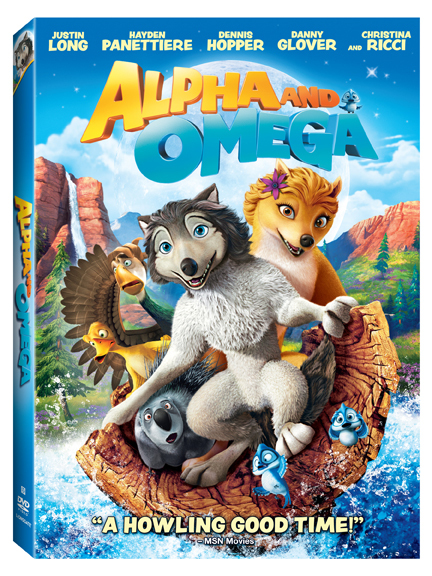 When Kate, a take-charge “Alpha” wolf, and Humphrey, a laid back “Omega” wolf get snatched by park rangers and relocated halfway across the country, the two must set off on an incredible journey home. With the help of a goofy golfing goose and his quacky duck caddy, Kate and Humphrey won’t let anything stop them – prickly porcupines, grumpy bears, even a speeding locomotive – from getting back to Jasper Park in time to help save their pack from rival wolves. And along the way, Kate and Humphrey learn that even though they are complete opposites, they make a pretty good team! It’s a thousand miles of fun in this wildly entertaining journey the whole pack can enjoy together. Personality test: Are You and Alpha or an Omega?